Becoming an Associate Partner not only pledges your support to this important organization, it gives you access to our membership. Action sports manufacturers, retail service providers and media outlets work with Board Retailers Association as a Marketing Partner. Working with our talented team of marketers well-versed in action sports, you’ll communicate directly to this target market through print promotion, digital media and live events—all while supporting the BRA cause in the process. Contact us if you’re not sure you qualify as an Associate Parntner. Your brand message heard loud and clear by our members through targeted marketing efforts. 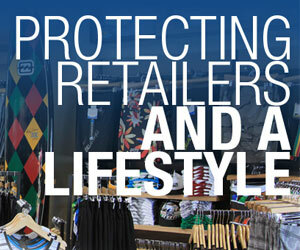 Invaluable information to help you break into the action sports retail market. The attention of loyal, core retailers who will take notice of your support. For a complete list of benefits and services with corresponding membership tiers, consult the chart and descriptions below and contact us when you’re ready. Associate Memberships can not be processed online. For a downloadable pdf application: BRA Associate Membership Application. BRA’s website offers over 2500 impressions a month. Show the specialty retailers who have supported your business from the start that you are returning the favor – support their organization on our highly visible and powerful Industry Partners page. We’ll promote your service in our Member Resources section with your copy, logo and contact info on Boardretailers.org. Have a special deal you want to offer BRA members? We’ll also highlight in our most popular Member Discounts section. Twice a year we’ll include your 250 x 250-size ad in online member Newsletter which is sent out to our robust database of 7,000 in action sports specialty community . Send us a printed piece you’d like to have available to retailers who we meet at trade shows. We’ll be happy to include your piece in our booth space frequented by retailers. Discounted attendance cost for special events like Surf Summit, Skateboarding Summit and Trade Show networking events. Direct access to Boardretailers.org with your own login to view member shop information and demographics including location on our BRA shop map. We’ll send out a branded, targeted email to our members on your behalf.You provide copy and graphics; we’ll provide complete open and click-through statistics reporting.